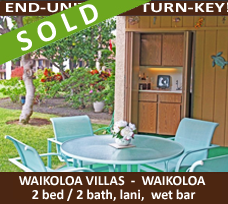 Cook Walls Kohala Coast Real Estate – Kohala Coast Real Estate : Mauna Lani . Waikaloa at the Beach . Mauna Kea . Waikoloa Village . 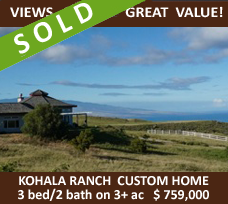 Kohala Ranch . 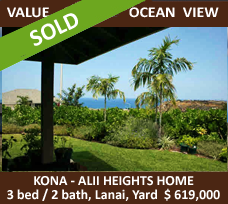 Kohala Water Front Real Estate. If you are working with a real estate agent, this website is not a solicitation. e’ komo mai . 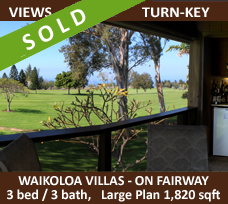 . .
Cook Walls Inc. specializes in the resort properties along the Kohala Coast and up Mauka to the Hills of the Waikoloa Village. 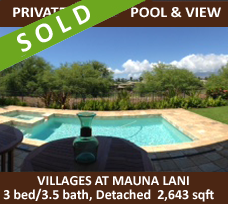 The Big Island offers a diverse Lifestyle and attracts people from all over the world. The blending of cultures and lifestyles bring another dimension to this already unique mystical island. 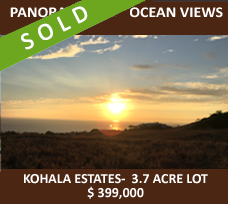 This is why founder Kimi Cook-Walls (Broker) has chosen to live overlooking the splendor of the Kohala Gold Coast. Warm tropical breezes, award-winning golf, pristine beaches and a casual relaxed atmosphere surrounded by interesting wonderful people from all over the world. 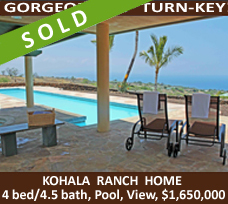 These are the rare and special places of Waikoloa at the Beach, Waikoloa Village, Mauna Kea, Mauna Lani, Kohala Ranch, Kohala by the Sea, Kohala Waterfront, Kohala Estates and Waimea. Buying, Selling & Managing. 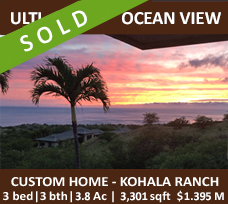 . .
As a buyer, there are a lot of things to think about. Most resort buyers are here only part time. 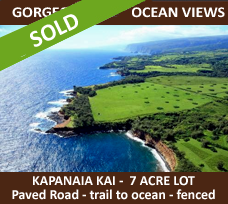 The #1 question that comes up, is “What will we do with this property while away?”. 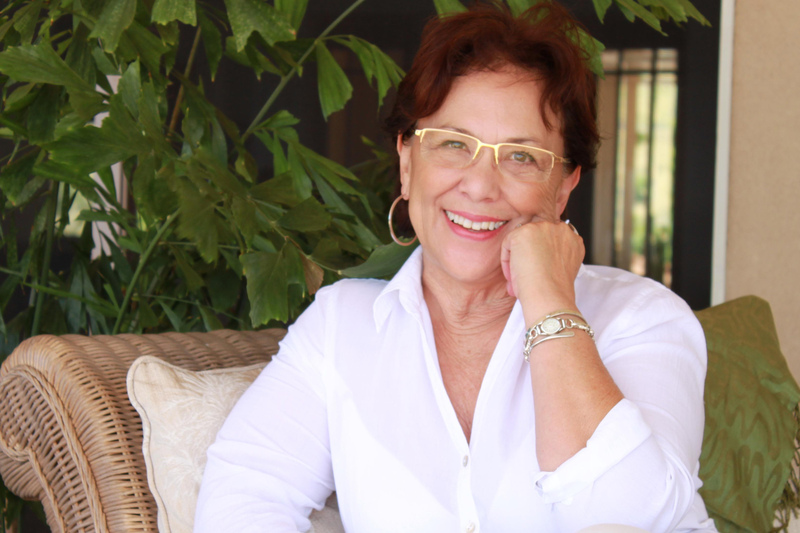 Kimi solves that issue by bringing peace of mind to her clients by offering personalized Management services to her clients. Only managing her clients properties. 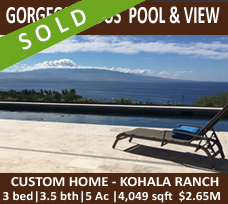 Mahalo for checking in on my website, I look forward to talking with you soon about your Big Island Real Estate objectives. Mauka or Makai. Big or small.